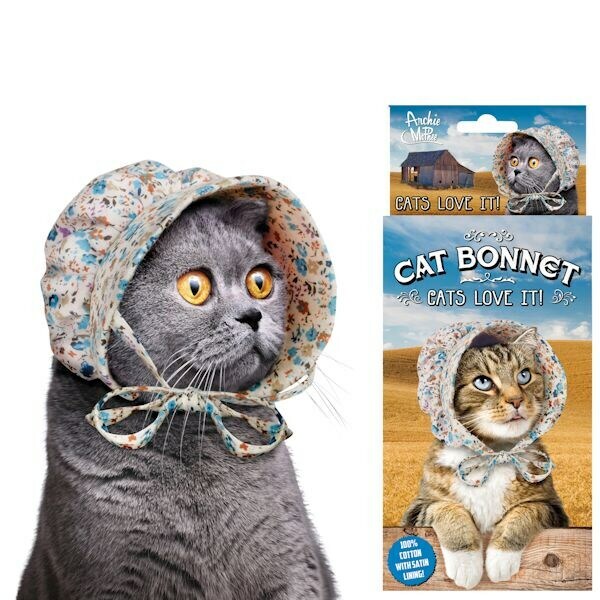 Get your cats picture ready for a pioneer story, our bonnet is 100% cotton with satin lining. 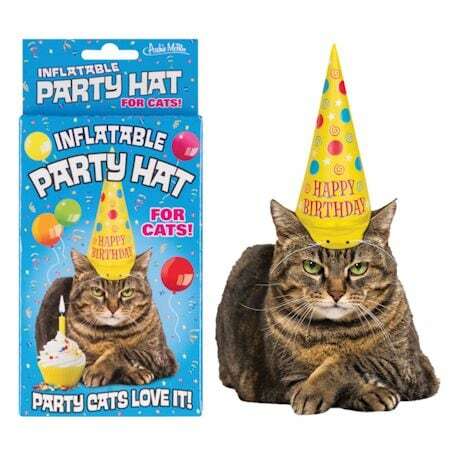 Happy Birthday party hat is inflatable vinyl. 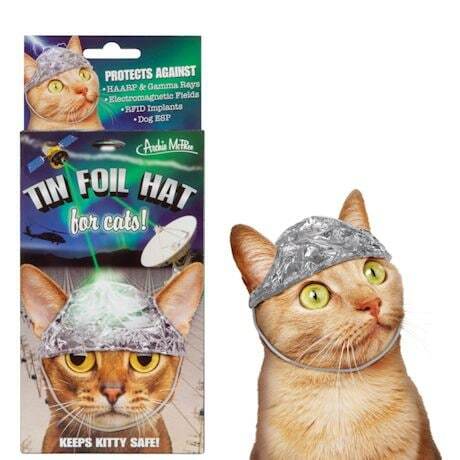 Tin Foil hat is mylar with felt lining. Inflatable Glow-in-the-dark WIZARD hat is perfect for casting spells on dogs, and the inflatable unicorn horn is every cats fantasy! All fit average house cats and have elastic straps to help them stay on for 10 full seconds. Specify which style.